Leon Theremin’s early contributions to electronic music are as profound as any, and his impact on Bob Moog’s life and career are equally as deep. For those of you who don’t know, Bob began building theremins when he was 14 — back in 1948. By the time he was 19, he wrote his first article for Radio and Television News entitled The Theremin which, informational and instructional, guided the reader on how to build their own theremin. From this article Bob received so many requests for theremin parts that he launched his first company, R.A. Moog, Co., out of the basement of his parent’s house in Flushing, Queens, New York. Bob built and sold theremin parts, kits and assembled instruments exclusively until 1963, when he met experimental jazz composer Herb Deutsch at a state music educator’s conference. Bob wa there representing his theremin-based company, R.A. Moog, Co. 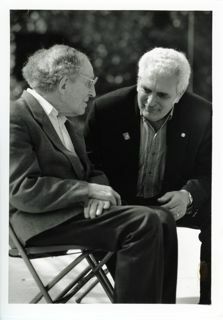 Even this meeting, one that would play a pivotal role in Bob’s career and in the course of electronic music itself, was based on Herb having one of Bob’s early Melodia theremins. Through Bob’s extensive work with the theremin, Herb felt compelled to ask him to embark on a road that would eventually lead to their collaboration on what would become the Moog synthesizer. August 15th marked what would have been Leon Theremin’s 115th birthday, making this an apt time of year to pay tribute. 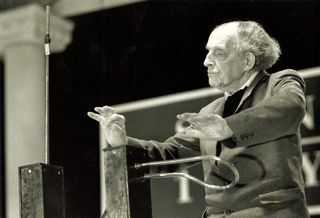 Leon Theremin, wherever in the ether you may be, we remember now and always for your pioneering work — work that lives on through so many people, and so much music, to this day.